Incorporating the vibrant history of your heritage in your wedding through traditions is a fun way of making that special day truly memorable. Surprisingly, behind the facade of a highly modernized nation like the United Kingdom, there are numerous popular customs and superstitions that are still being followed up to this day. Although it may seem trivial to include all these traditions and beliefs considering the high demands of modern living, taking them into account when planning your UK wedding may just add more spice to the ceremony and to the couples married life. 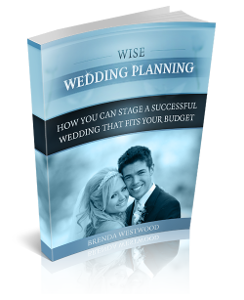 Below is a compilation of some of the most popular traditions applied when doing a UK wedding. * The Bridal Attire. For the bride's attire, she follows an old tradition that came from a popular rhyme dating back during the Victorian times. According to this bridal attire rhyme, she has to wear something old to represent the link of the bride's family to her life when she was still single. This is usually her mother's jewelry. The old line also said that she needs to wear something new which represents the good fortune of the bride's marriage. A new wedding dress is usually purchased and chosen to be the new item in her attire. Next she has to wear something borrowed or something that is owed by a happy bride during her wedding. This means bringing good luck to their marriage. This could be stockings, handkerchief, brooch or any jewelry. Another part of her attire is wearing something blue which according to the bible symbolizes purity and faithfulness. Eventually, this custom has evolved into wearing a blue garter or a band at the bottom or trimming of the bride's dress. Lastly, the bride must place a silver sixpence in her shoe symbolizing wealth. Although financial wealth is usually invoked, intangible wealth like happiness and joy are also invited to reside in her married life. *The Bride's Veil. The origins of the wedding veil still remain a mystery since its first use centuries ago. One theory dates back when arranged marriages were still so popular. It is thought that a veil was placed over the bride's face so that the groom would not run off if he didn't like the face of his would-be wife. But wearing a wedding veil is also believed to protect the bride from evil spirits. *Carrying the bride into the house. It is believed that there are spirits waiting at the threshold of the newlywed's home. This is why the groom carries his bride into the doorstep of their home to guard the bride from those lingering evil spirits awaiting their arrival. Another reason why carrying the bride across the front doorsteps has been a popular custom is to avoid bad luck. During the Roman times, it was believed that if the bride tripped when entering their home, her marriage would be full of misfortunes. So to avoid any harm, this tradition has been carried for generations. *The ring finger of the left hand. If you have noticed, the engagement ring is usually placed on the third finger, between the middle and smallest finger, of the left hand. One explanation for this belief relates to an Egyptian belief that the third finger follows the vein of love flowing directly to the heart. o	Carnation means love and fascination. o	Red Chrysanthemum means "I love you." o	Red rose means love. o	Yellow rose means friendship. o	Pink rose means thankfulness and grace. o	Tulip also means love. The list of traditions, beliefs or superstitions that people in the United Kingdom fascinatingly follow can go on and on. But these more popular ones will guide you in planning that wonderful and once in a lifetime UK wedding. Whether you believe the traditions or not, one thing is true - it is not the objects that symbolize what you wish for your marriage that command the fate of life-long relationship, but the love and commitment you invest in it.